Conveniently located! 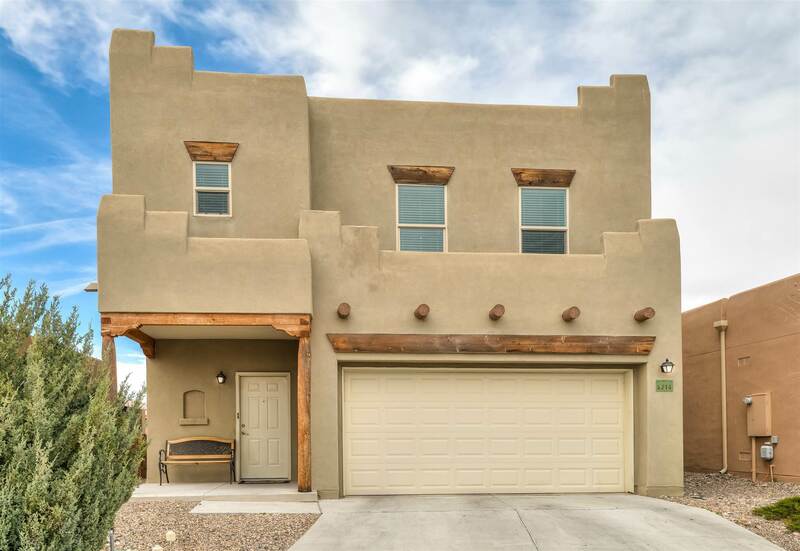 This 4 bedroom, 2.5 baths home is freshly painted with a 2 car garage. This home is perfect for large or growing family. On the main level, you will find tile throughout, a Â½ bath, open concept kitchen with stainless steel appliances, granite countertops and a breakfast bar. The living room is a nice size, featuring a gas kiva style fireplace. Upstairs leads to the 4 bedrooms and 2 full bathrooms, plus laundry room. All Upstairs has gorgeous mountain views. The master suite is oversized with an en-suite, double sinks, separate shower and soaking tub, and 2 walk in closets! The back yard is low maintenance. Addition features include a drip irrigation in the front yard, washer and dryer included, tankless hot water heater, forced air heating with refrigerated air. Directions To Property: Governor Miles Rd To Entrada Sonata To Montana Verde Rd To Plaza Sonata.